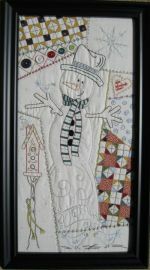 Turnberry Lane "Hand Other Patterns"
Merry Christmas from the sweetest snowmen you've ever seen! 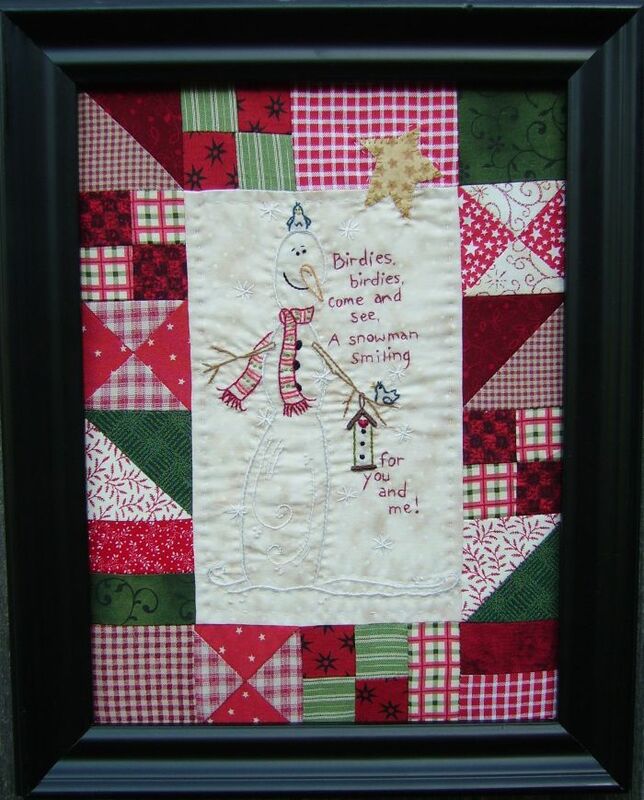 You can make a framed piece as shown or a mini quilt to hang or enjoy on a table. 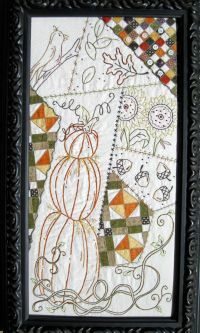 This is a fun embroidery design with very easy piecing. 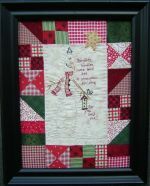 You can frame it as I have or add binding for a cute mini quilt. 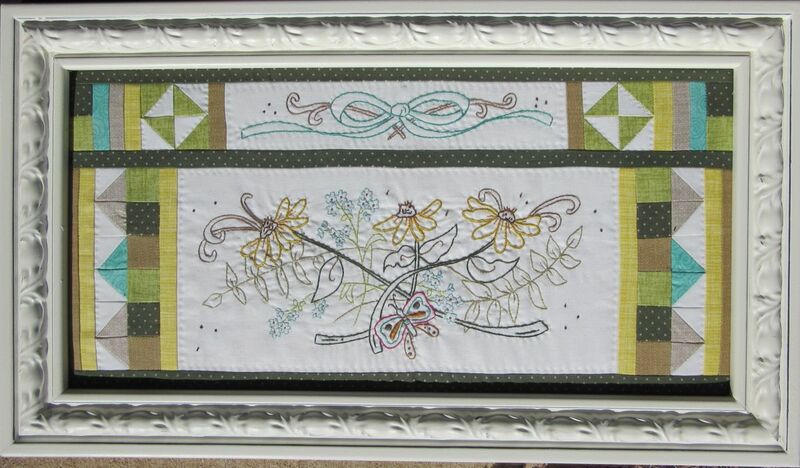 The center embroidery pattern is included in 2 sizes. Enjoy the fall! Christmas blessings to you and yours! 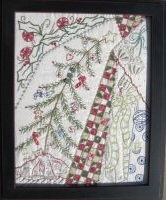 This is a quick little redwork project to enjoy at Christmas. 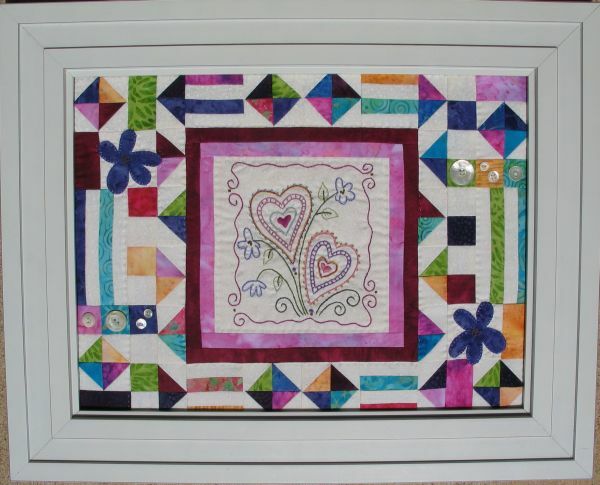 Easy piecing pattern and add mini buttons to complete. It would make a lovely framed piece also. To me summer means the sun, flowers, flip flops and butterflies! I hope this summer sampler takes you to your happy place! 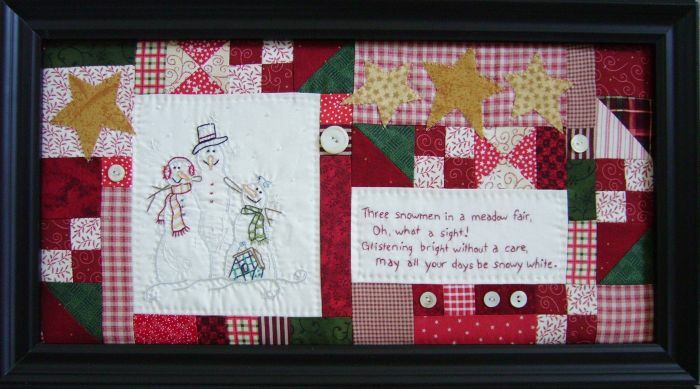 This Christmas sampler is for holiday lovers everywhere! 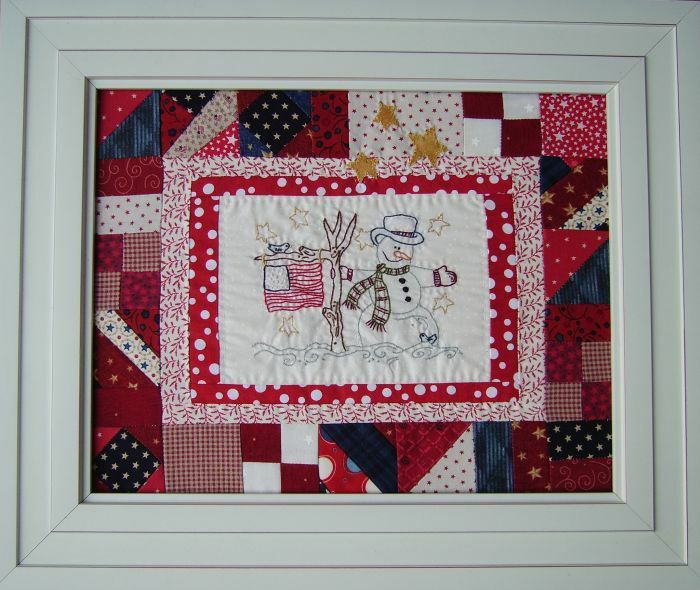 You can frame it as I have or add a little border for a nice wall hanging. You can enjoy this gift of summer all season long! 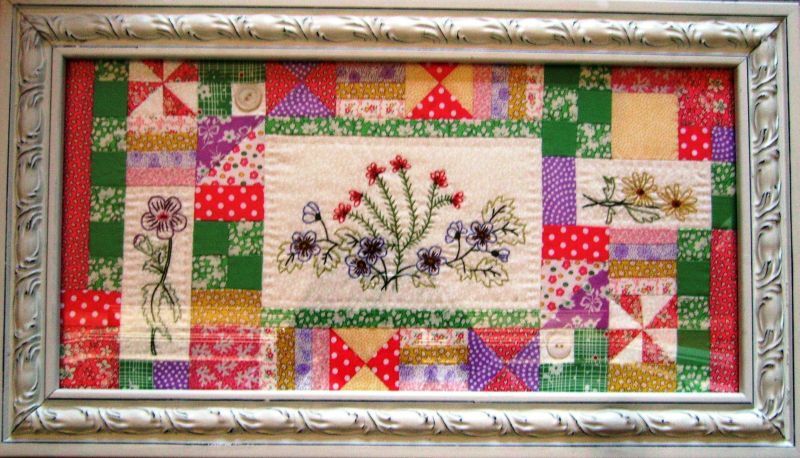 This would make a wonderful small quilt or table runner too. 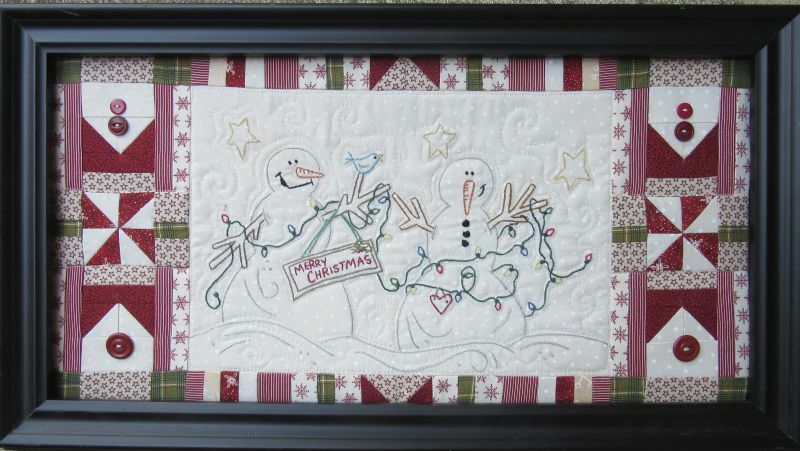 This embroidery sampler has a snowman, buttons, and quilting. What more do you need? This is also the Winter addition to my sampler series. Autumn breeze makes me feel fine! 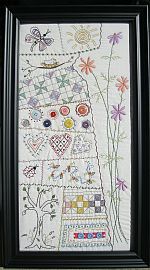 You can frame this sampler as I have or add a simple border to make a lovely wall hanging. 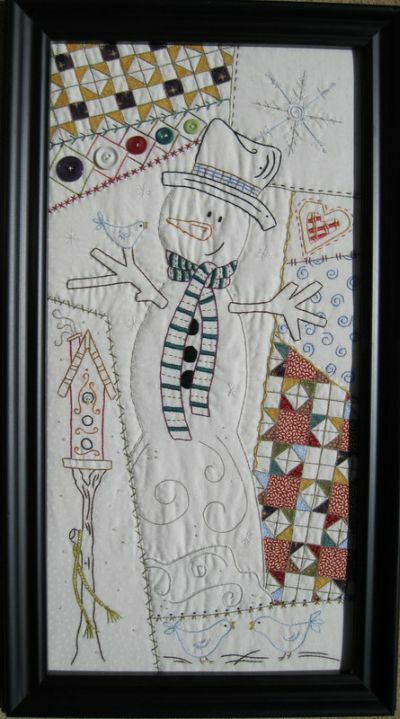 Here is another snowman pattern you can love! 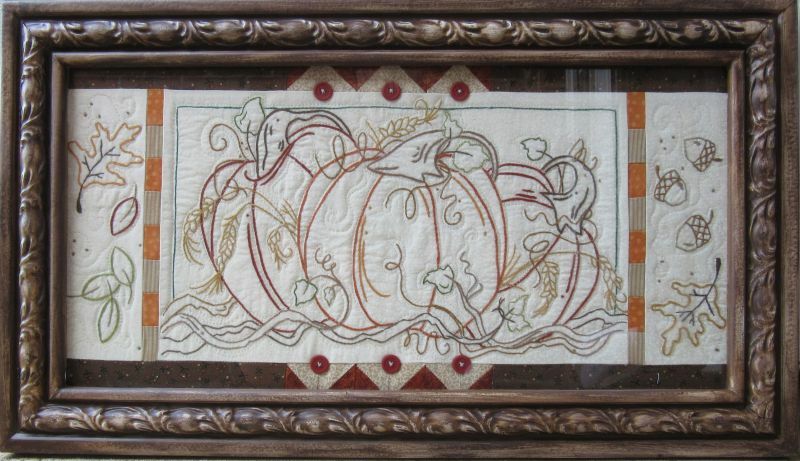 This is a quick and easy embroidery project to fit that long and hard to fill space. 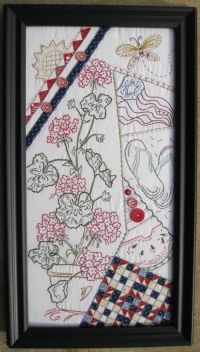 Now you can embroidery 3 great bookmarks all in one pattern! 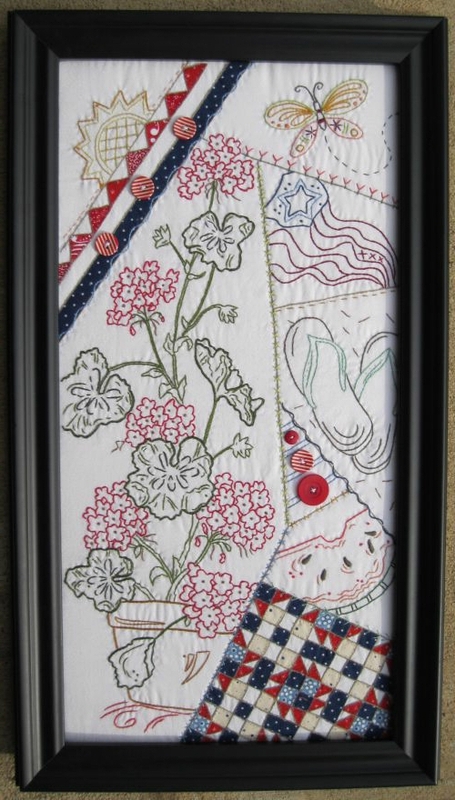 Use your embroidery and quilting skills to make a framed piece of art you're sure to love! Enjoy spring even more by capturing it under glass! 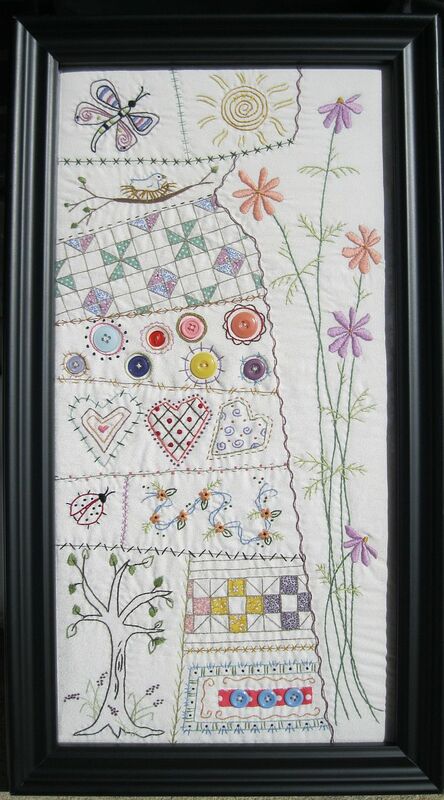 Use your 1930's print scraps or your favorite brights to piece this framed beauty. 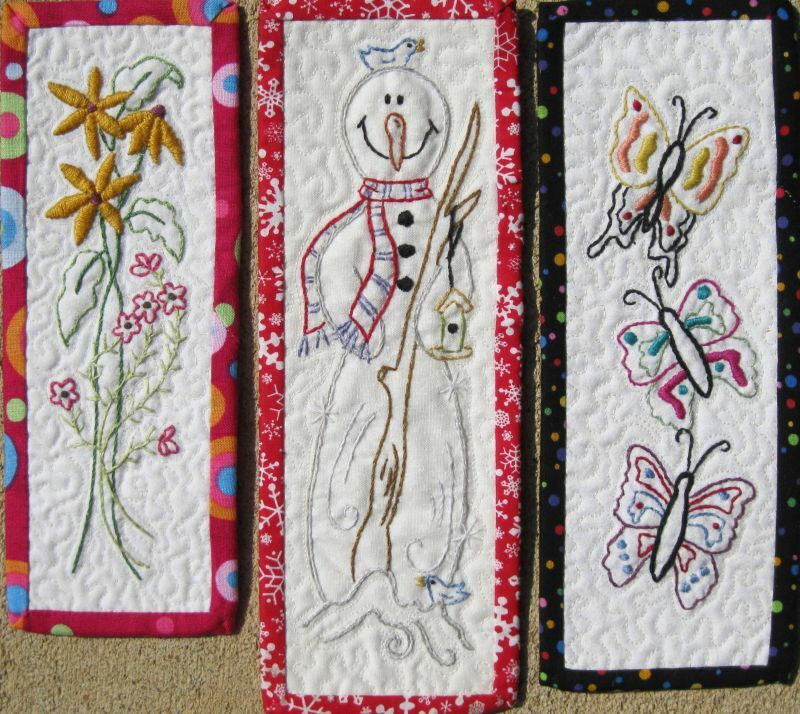 This quilted embroidery is for the snowman lover who is also proud of the U.S.A.
"Three Snowmen in a Meadow Fair"
Spring, summer, fall and winter each season has its joys! 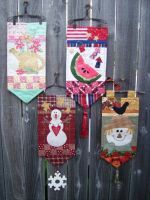 Use these cute banners on your door or on a door knob. 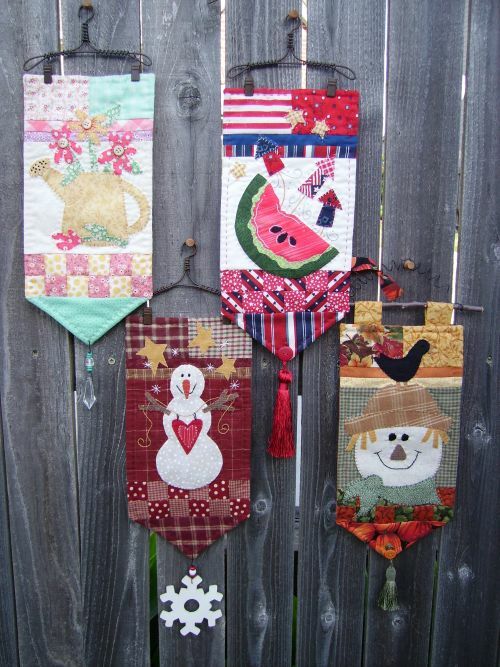 Anywhere you hang them you will celebrate the seasons. Brighten your door or any long empty spot with this lovely bell pull. This quilted art will look great hanging on the wall for you and others to enjoy during the winter season.